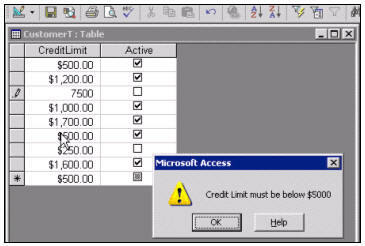 Order before 4/22/2019 to get a FREE upgrade to our Access 2010 version! 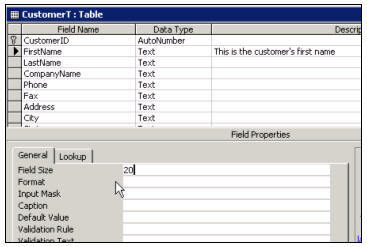 Field properties, searching, sorting, filtering, more query tricks, parameters, combo boxes, reports, compact, repair. 129 Minutes. We'll begin by briefly reviewing the database we built in Access 101. Then, we'll start off this course by going over all of the field properties in your tables (formats, input masks, validation rules, etc. ), and learn what indexing does and how it can improve your database's performance. We will learn how to create custom date and time formats for our fields, as well as different formats for Yes/No and text values. 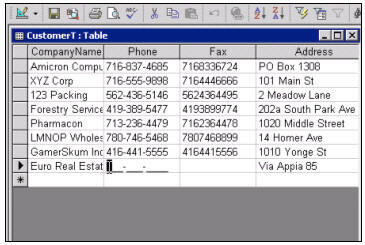 You will learn how to use Input Masks control the way in which data is entered into your tables. 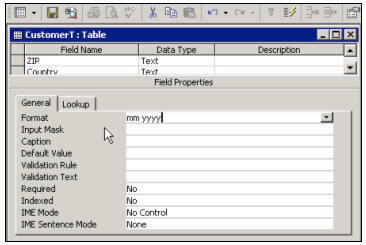 You will also learn about the Required property - how to make certain values in your table required, so the user has to enter something. You'll also learn about the Default Value property, so you can start a field with a particular value - like starting the State field off with "NY." We'll also teach you about Validation Rules to verify that data is good, and how to pop up warnings if the user enters in an incorrect value. We'll learn about searching, sorting, and filtering in both tables and forms. We'll start out learning how to search through our tables for values with the Find button. You'll learn how to Sort your records in ascending or descending order. 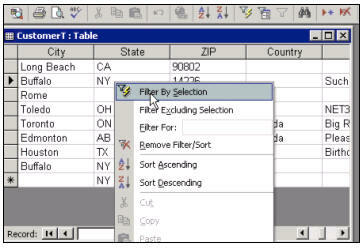 We will also see how to Filter results in both tables and forms. Next we will examine the use of multiple criteria in queries (e.g. show me all of the customers from NY or CA who are Active). We'll also learn how to use parameters in our queries, which allow users to type in criteria at runtime (so your boss can run the query and just type in whatever state she wants). We'll see how to use wildcard characters in queries, using the LIKE keyword. Next we'll learn how to do much more with forms. 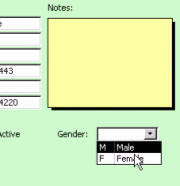 We'll create an Employee table and form. 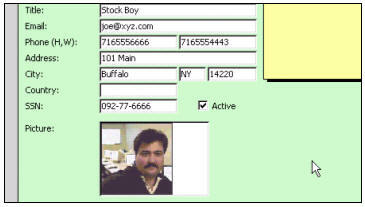 We'll see how to add a picture to your employee's records (stored in the table and displayed on the form). We'll show you how to manipulate the properties for the picture - to set it to Zoom, Stretch or Clip in the window. We'll work with a basic combo box and list box, to select a value from a list of options. 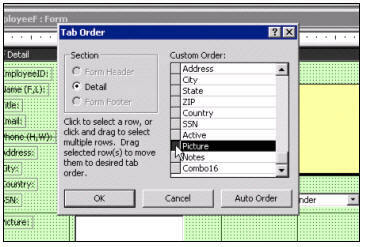 You will see how to manipulate the Tab Order on your forms so you can control what happens when the user hits the TAB key to move between fields. We'll also see how to create a basic command button to close the form and return to the main database window. We'll learn how to do much more with reports in this course. We'll make a set of mailing labels, but exclude customers who are missing address information (street or ZIP code, for example). 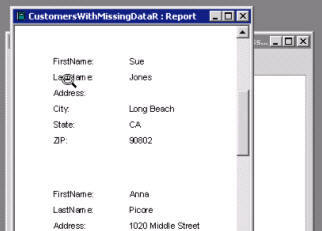 We'll also make a report showing which customers are missing data, so we can print out the list to call them. At the end of this lesson, we'll teach you how to compact your database to keep it running fast. We'll also show you how to repair your database in the event that it becomes corrupted. Again, this class picks up where Access 101 left off. If you're serious about learning how to develop databases using Access, don't miss this course. It's an excellent stepping stone to the more advanced courses. Using the combo box wizard.